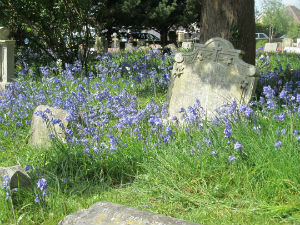 For many years, the ‘Friends of St Clement’s Churchyard’ was a group of people donating to a fund that provided an income for the upkeep of the churchyard. Sadly, many of the ‘original’ friends are no longer with us, and the fund has dwindled away, and insufficient to cover the costs of maintaining the churchyard. It has been agreed by the PCC that new ‘Friends’ should be found to help increase the fund to an adequate level once again and Mrs Angela Fisher and Mrs Anne Coates agreed to take on this task. Our first approach is, therefore, to members of St. Clement’s Church, and friends who regularly visit the graves of loved ones buried in the churchyard. 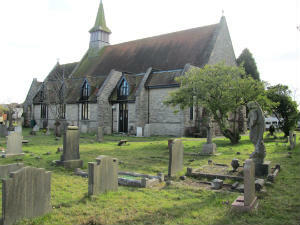 Unlike many churchyards that have been neglected over recent years, ours is maintained to a high standard, consistently winning awards from the Living Churchyards Project organised by the Dorset Wildlife Trust. It is a vibrant, beautiful space, with many wild flowers, providing a suitable habitat for a wide range of different creatures and birds. For more information please contact Mrs Angela Fisher through the church office (telephone 01202 733390).